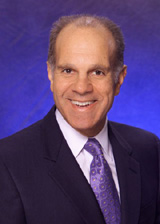 Gary A. Trabolsi is a founding member and managing partner of Gardner Trabolsi & Associates. Gary has over 34 years of litigation experience in areas that include motor vehicle, premises liability, product liability, dram shop liability, real property disputes and construction site accidents. Gary has a respect for the rule of the law and is dedicated to providing aggressive and ethical prosecution of all civil litigation claims. Trial and appellate practice dedicated to the aggressive prosecution of all types of civil litigation. Lee, Smart, Cook, Martin & Patterson, P.S., Inc.
Trial and appellate practice involving all types of bodily injury and property damage claims arising out of motor vehicle, premises liability, products liability and real estate disputes. Prosecution and defense of all types of personal injury claims. 81 Wn.App. 102, 919 P.2d 1040, (1996). 116 Wn. App. 303, 65 P.3d 679 (2003).